Somewhere out there, there is a unicorn... just waiting to be your friend! 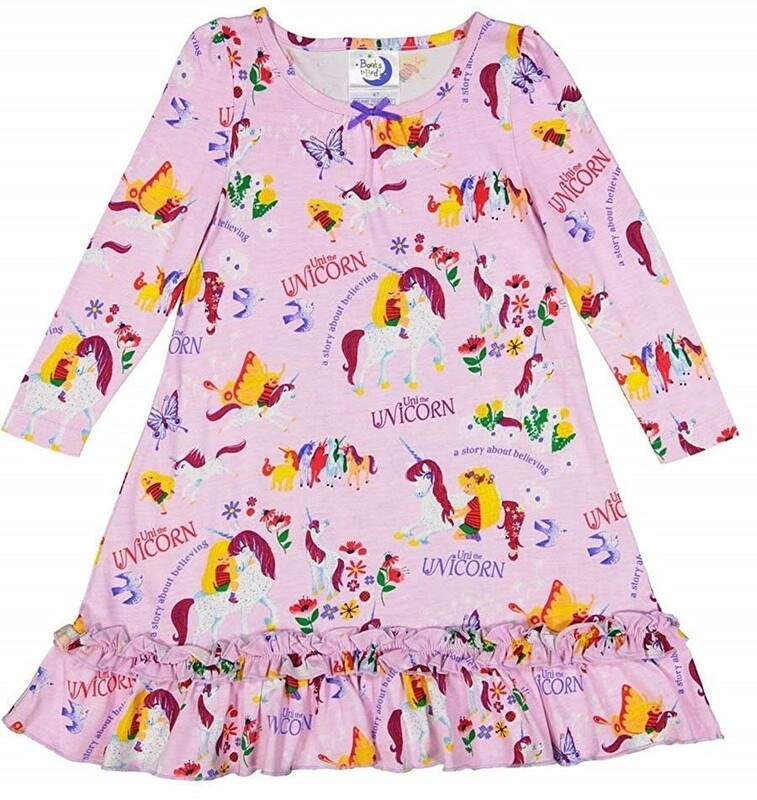 Fans of Uni the Unicorn will love this 100% cotton long-sleeved nightgown featuring an all-over print of Uni and her special little girl friend celebrating all the joys of a magical friendship. 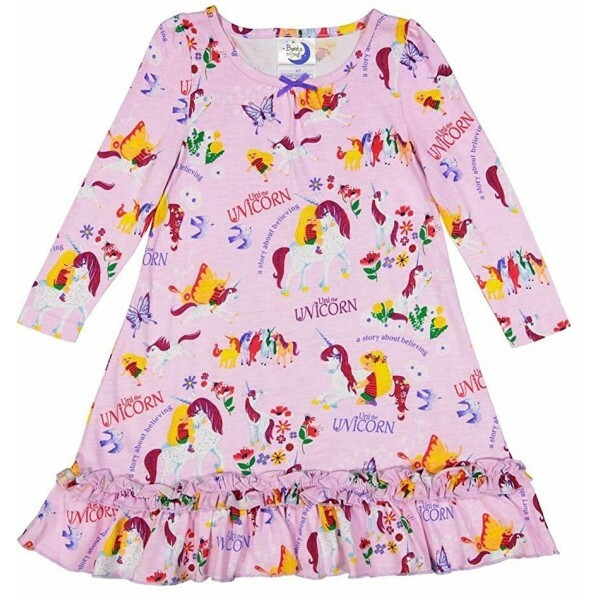 This nightgown is available in toddler sizes 2T and 3T and children's sizes 5 and 6. For a gift set that includes this nightgown, plus a copy of the books, check out the Books to Bed Uni the Unicorn Set. For more sleepwear featuring popular book characters, visit our Books to Bed Collection.